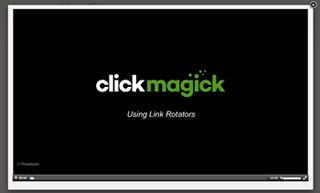 ClickMagic is a very useful link management system for any online marketers, but particularly essential for anyone who sells or buys traffic. 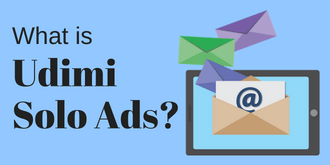 Not only does it track every visit and conversion, but it also controls the traffic flow by blocking bad clicks such as bots or users via VPN. It can maintain the quality of traffic by placing a geographical restriction or maximum daily limit. Clickmagick also provides some extra tools such as popup or banner bar to invite users to another page. * 2018 Update: ClickMagick has recently tighten its anti-spam policy and banned users from using certain spam technique. This is a great news, assuring us that the traffic we deal with is from legitimate sources. See the detail here. ClickMagick links are often seen in traffic exchange businesses, typically used for solo ads, both by buyers and sellers. A buyer would set up a tracking link and give it to their seller, so that the both parties can monitor the traffic and agree the number of clicks (visits). While a seller would set up their buyer's tracking link in the rotator; they often have more than one buyer at a time, so the traffic they provide would 'rotate', i.e. the traffic would be delivered evenly to all their buyers. Or in any way they want by the preference set up. Each visitor's IP address is recorded in the stat page, and the total number or clicks will be shown accordingly. The number of Total Clicks (TC) and Unique Clicks (UC) are displayed separately. 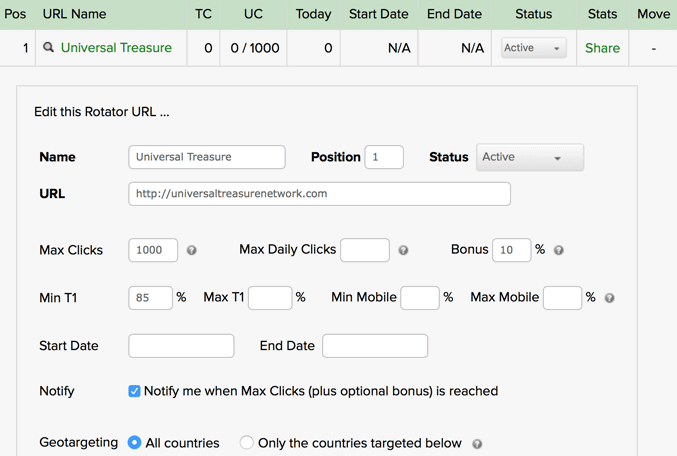 When a user visits the buyer's URL multiple times, the total number will be shown in TC, but the number in UC should remain as 1. 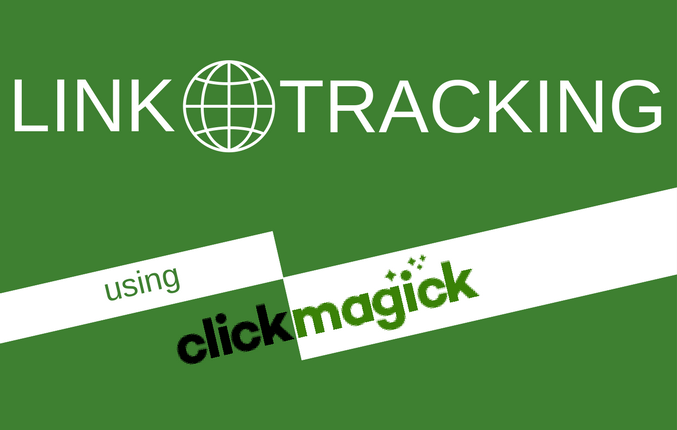 There are so many ways that you can control and monitor the traffic using ClickMagick, but each feature is straightforward and comprehensive. I'll take you through the top menu and you'll see what I mean. Here's a summary of what ClickMagick offers to do under each menu. Tracking an entire sales funnel - starting with the opt-in all the way through upsells and downsells. 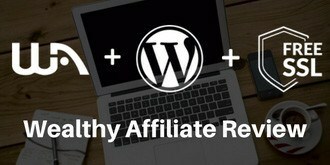 Enter a unit cost to you (when buying traffic) either by CPC (cost per click), CPA (cost per action), CPS (cost per sale), Daily or Monthly, to monitor what's cost you so far. Geotargeting - include or exclude certain countries by checking/unchecking them from the drop-down list. Add "backup URL" - in case your original URL is temporarily down, or not available to certain countries, you can enter an extra URL to redirect the users to. "Bad clicks" - filter out any bad clicks from the tracking, or block them completely. Such as bots, users via VPN, search engine spiders. Password protect a link - only users who know the password to access the link. B​y implementing the code provided to your website, you can track organic traffic, i.e. 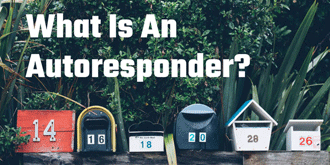 how users arrive at your page (e.g. by Google search). 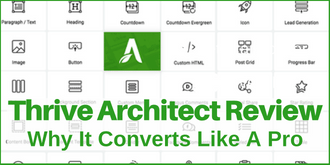 Add an extra conversion tracking pixel code to track the conversion as well. One thing you might want to remember is that organic traffic coming from secure websites (https) cannot be detected - because secure websites are not allowed to pass referrer information. For example YouTube - all organic traffic from YouTube will be reported anonymously under "none". 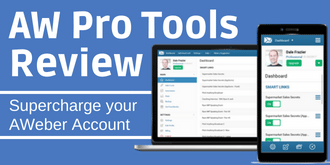 This is an essential and powerful tool for traffic providers. More than one destination URL can be set under one link, and it "rotates". ​Sequential mode: when a user clicks the link, they'll be directed to the first URL (URL-A in this example), and when they clicks the same link again for the second time, they'll be directed to URL-B. So this mode will send traffic to each URL in the rotator one after another, as repeat users hit the link multiple times. And when it reaches the bottom, it will simply start over again at the top. Spillover mode: Same as Sequential mode but the difference is that you can specify another URL to direct your users to after they've visited all the URLs in the rotator and exhausted their unique clicks. Fulfilment mode: send all traffic to the first URL (URL-A in this example), including repeat clicks from the same user until that URL has received the maximum number of clicks specified. Random mode: distributes your clicks in a completely random manner. Bonus clicks by percentage. 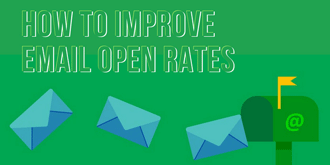 If you put 10% and the max clicks 1,000, you'll be delivering 1,100 in total. 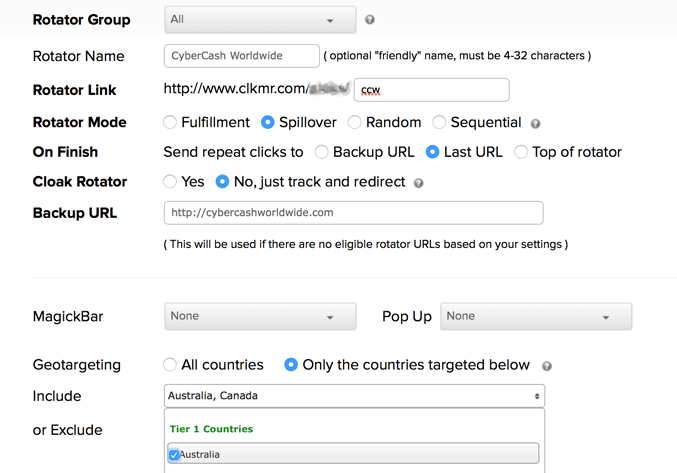 Minimum or maximum clicks from users in Tier 1 country (US, Canada, UK, AUS, NZ) by %. Start date / end date. If left blank, starts delivering immediately and ends when it reaches the number or max clicks. Notify: if the box is checked, it will email you to notify when the delivery's finished. Geotargeting: you can include or exclude certain countries, as long as you make sure there's no conflict with the Min/Max T1 setting. The good news is, any of the existing links in ClickMagick can be cloned (copied), so you only need to set one up in the beginning, then you make a copy of it, rename the link and customise the link settings if needed afterwards. 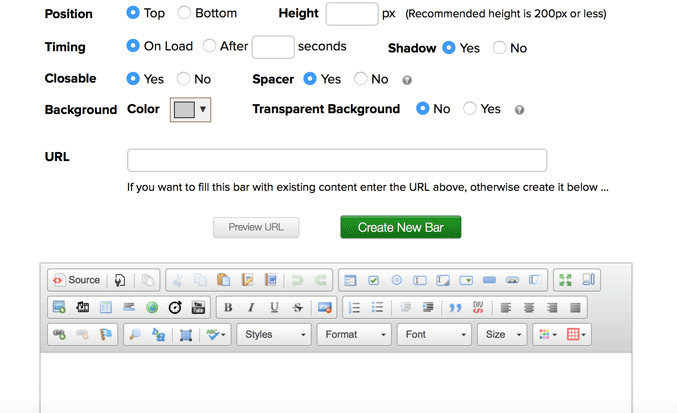 Under the "Content" menu, there are 3 x useful features that can be added your webpage ​to help increase the conversion. MagickPopups, MagickBars, and Countdown Timers. Popup "on load" - appears as soon as the visitor lands on the page. Delayed popup - appears after the number of seconds you specify have passed. Exit popup - appears when the user's cursor moves out of the window and is above to close it. Redirect - not technically a popup, but it redirects the user to another page when they attempt to leave. Using a visual editor to design a popup, you can add pretty much everything to the popup - not just images or tables but embed YouTube video, make it sound-enabled, and also a countdown timer. MagickBars can also be designed by its visual editor, enables you to add images, tables, embed YouTube video, make it sound-enabled...make the background transparent or coloured...add a speech bubble, also a countdown timer can be added to the bar. The idea of a countdown timer is to urge the readers to take action, and that's exactly what ClickMagick timer feature is there for. It does not take a few minutes to create a timer. 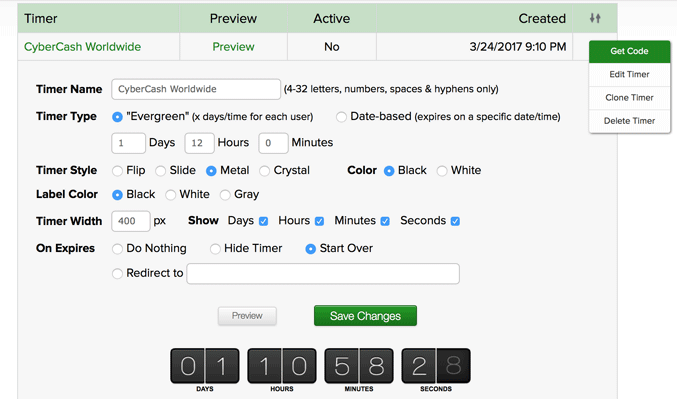 There are 4 different styles and two types (evergreen/cookie based or date-based). All you have to do is to copy and paste the code to anywhere - your webpage, within a MagickPopup or MagickBar. Batch Editor: Instead of going to "Links" menu or "Rotators" menu and clicking each link to edit ​one by one, you can quickly edit, reset or delete your links, rotators or rotator URLs from here. Data Importer/Exporter: ClickMagick's link data, rotator data and rotator URLs can be exported to other third party apps. Also a data from another tracking tool can be imported to ClickMagick using CSV file. IP Lookup tool: Allows you to view the history and activity for any IP addresses. It shows clicks, opt-ins, sales, along with a timestamp for each event and it's helpful when identifying suspicious clicks. IP Manager: Allows you to filter or block particular IP addresses or IP ranges by manually enter them. Any of the tracking link's conversion can be split-tested. Setting it up is very easy; entering two or more URLs (as many as you want)​, enter the percentage of traffic that each page should receive, and copy & paste the ClickMagick tracking pixel code to your "thank you" pages. Once set up, the traffic will be randomly split between all the pages​ and, you can view the stats for each page separately. ClickMagick can also automatically determine the winner when the "confidence interval" is 95% or higher, and alert you via email. Being offered many features is one thing, but finding everything quickly & easily is another. What I personally think is excellent about ClickMagick is the user-friendliness; how things a laid out throughout this tool. There are plenty of guides under "Help" menu; Tracking Guide, FAQs, Video Tutorials, What’s New, System Status, and Help Desk where you can send a support ticket. If you go for Starter Plan ($17 per month) and the number of clicks you receive exceeds 10,000, they'll give you 10% "cooling off"; when it exceeds 11,000, your account will automatically be upgraded to Standard Plan and billed for $47, and every month thereafter. You must remember to go to your account and downgrade it manually (you can do this by one-click) if you go back to the Starter Plan. 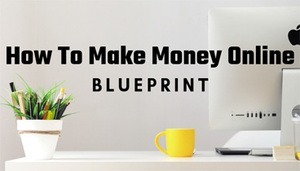 For any online marketers it is essential to track visitors and carry out split tests in order to increase the conversion, hence increase the revenue. ClickMagick has all the useful tools; with this amount of features, extremely helpful instructions and the user-friendliness, in my opinion it's well-worth spending money for. I suggest that you should sign up for free trial and witness it yourself. 14 days, nothing to lose!